When it comes to energy solutions, we need to be like Martin Bigg’s favourite fish; the piranha. Why do we need to be like a flesh-eating aquatic animal to get these solutions? Because being passive isn’t working. Such was the closing message of Bigg’s talk at the Bristol Politics Café in the kitchen of The Station. Bigg’s talk entitled ‘Energy generation, use and denial’ was a well-integrated combination of academic analysis and challenging chit-chat about the UK’s energy enigmas. While his concluding remark was engineered to influence our future actions, Bigg cleverly began with the UK’s energy past. He walked us through the history of UK energy supply, intertwining the physical processes of production with the bureaucracy and politics. This technique highlighted how energy has been manipulated time and time again to fulfil regulations and financial expectations. 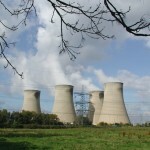 Coal fired power stations built in the 1970’s are still producing today, requiring a string of expensive modifications in an attempt to meet the demands of the modern day. 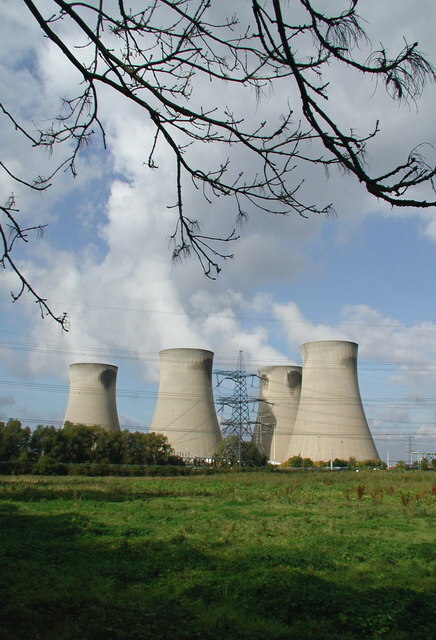 Drax power station is the biggest energy producer in the UK and was used by Bigg as an example of the problems with current regulations. The old coal powered generators have been modified to run off imported wood chips in order to meet air quality objectives. The technology established on the plant is not optimised for this fuel, yet the station stays open. In addition, the audience was introduced to facts and figures representing current energy demand. Two things struck me as disturbing. Firstly, how small our green energy contribution is, and secondly, how coal power stations are used to fulfil our energy needs. Many coal stations are paid huge government subsidies to remain on standby to provide energy at peak times. What is absurd is that coal power stations are the least efficient to start and stop when compared to other forms of power generation, so why are we using them? What was more interesting, was Bigg’s presentation of green energy supply. He showed the audience real bids for green energy. Solar was the cheapest, followed by onshore wind. Offshore wind was one of the most expensive but it is the scheme the government is investing most in. The utterly nonsensical nature of the process was brought on in part by environmentalists concerned about the impact of onshore wind farms on local wildlife, particularly bird life. In reality, Bigg pointed out, CO2 emission are far more damaging to bird populations through acidification of wetlands than through wind farms. What was reassuring, however, was that the green energy, at peak production was able to compete economically with the products of hydrocarbon-guzzling plants. The main issue was what to do when the wind stops blowing and the sun goes down. Here, Bigg admitted, there is the need for further research and development into effective energy storage. The event was meant to not only be a talk but a discussion, and the strength of opinions bounced around the room was evident. Much of the discontent was channelled into the up-coming elections, particularly that green policies are not playing a bigger role in the political football preceding 9 May 2015. Hopefully, discussion such as these can only help expand the dialogue amongst green-minded voters in the Bristol area in the hope that a less passive attitude may start to take effect in future green policy making. This blog is written by Cabot Institute member Keri McNamara, a PhD student in the School of Earth Sciences at the University of Bristol. This entry was posted in Environment, energy and climate and tagged energy by policybristol. Bookmark the permalink.